It can be a hard journey, to reach a point of understanding that allows change to come about. And it can be helpful to make that journey with a guide that understands what is happening and how you came to be where you are. I strive to offer a private and quiet place to explore, understand and heal. I work with individuals, couples and families and I facilitate therapeutic groups. I also offer individual clinical supervision and group supervision to practicing counsellors and psychotherapists and I am also a qualified EMDR therapist. 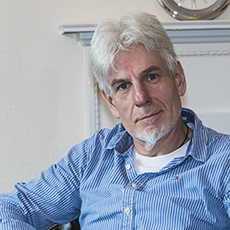 Hello, my name is Steve; I have a counselling, psychotherapy & supervision practice in Horsforth, LS18, where I see individuals, couples & families and Groups. I hope you will get a sense of me and what kind of a therapist I am on this page but if you would like to know more, please have a look at the other pages or, if you prefer, get in touch. The main links to other pages can be found by clicking the colourful blocks at the top of this page or by looking for the row of links at the top and bottom of each page. You will also find many underlined 'active links', as you read the material, each of which will take you to other information that I hope you will find useful. Information about counselling fees and cancellations can be found here and other information about counselling sessions here. My practice is in the Horsforth district of Leeds within easy reach of Leeds and Bradford centres and even more accessible to north, west and south Leeds districts (LS5, LS13 & LS7 are all very close and LS12, LS28 and BD3 are comfortably less than 30 minutes away while LS19, LS16 and LS21 are closer still). Leeds City Centre, Guiseley, Bingley, Pudsey, Bradford, Otley, Morley, Dewsbury, Batley and surrounding areas are all within easy reach.